It ain’t over until the Blues say its over. Game 6 in Nashville on Sunday. Go Blues! 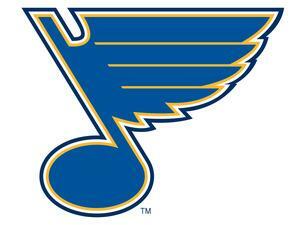 I’ve been going to St. Louis Blues games from the beginning of the franchise (1967). Many of the those years in the old building, the Arena, then when is was called the Checkerdome…and now Scottrade. One of the greatest nights of Blue’s Hockey took place last evening and I shared it with my daughter, who hadn’t been to a game since she was little, my son-in-law attending his first Blue’s game and my significant-other, we’ve been often. Bobby Plager, had his number 5 raised to the rafters alongside his brother’s, Barclay Plager (number 8). It was a beautiful, well deserved and long over-due ceremony. The Blues did it with class! Bobby spoke to the crowd, and in typical Bobby Plager fashion praised the organization, his former teammates, fans and family. The best moment, when they raised # 5, about half-way up, # 8 was lowered alongside # 5 and together they finished the ascension to the top. We’ve met Bobby a number of times at his sports bar and grill (Bobby’s Place), he is kind and enjoyable to be around; unlike many sports celebrities today. Thank you Bobby! I’ll end it there, where Bobby Plager belongs…..at the top next to his beloved brother Barclay. After 2 periods the STL Blues lead the Dallas Stars 5 goals to ZERO; Game 7 of the 2nd round of the Stanley Cup Playoffs! Expected a much tighter game; but Ken Hitchcock said the Blues would bring their A Game, and come and come and keep coming. They have done just that. Yes, I’m excited, I am a life time Blue’s fan from the time they came into the league. GO BLUES! 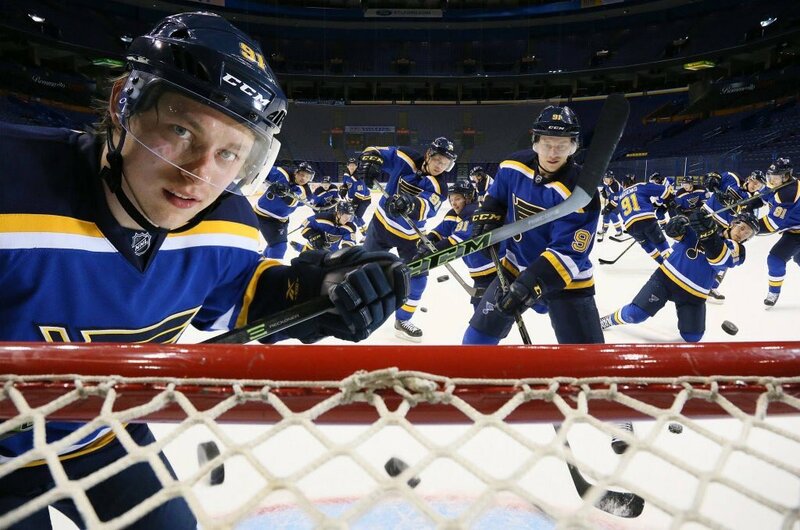 Crawford sees #91 Vladimir Tarasenko everywhere! Blackhawk goalies nightmare! Blues vs. Blackhawks; it doesn’t get any better.